In this hilarious graphic novel, the roles of cats and humans are reversed, putting humanoid felines in charge of tiny, dimwitted little man-pets. 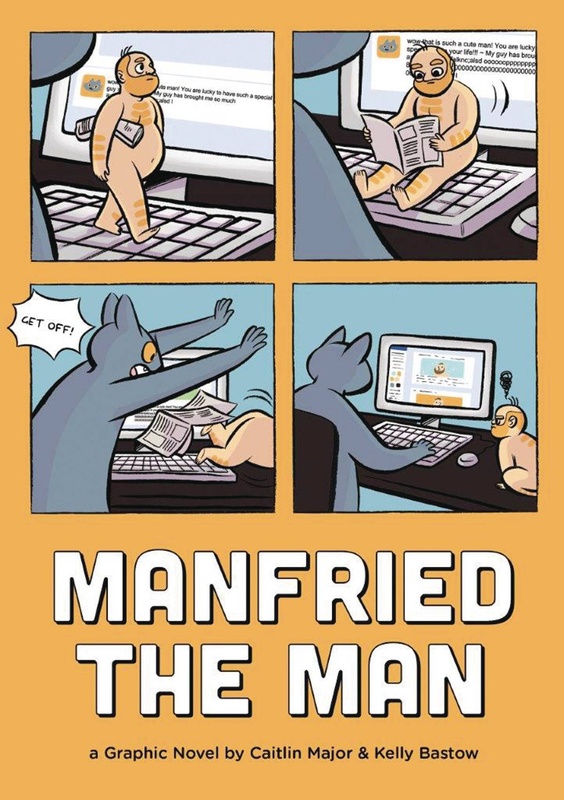 Manfried is a stray taken in by Steve Catson, a slacker with a dead-end job and nonexistent love life. Soon Manfried becomes the Garfield to Steve's Jon Arbuckle: lazy, selfish, and sometimes maddening in his weird human behavior. Yet the pair depends on each other to get through life's troubles. When Manfried runs away, Steve musters his meager resources to find his best man-friend and bring him home safe. Ultimately, both Steve and Manfried realize they're capable of so much more than they thought.